In Sonic Heroes, you control a team of three characters: Team Sonic (Sonic, Tails, Knuckles), Team Dark (Shadow, Rouge, E-123), Team Rose (Amy, Cream, Big), Team Fruity Pebbles (Bam Bam, Dino, Diabetes). There’s a lot of damn teams. Controlling three characters at once should be a clusterfluff, but you only ever control one at a time while the other two hang onto your side. You’re able to switch between characters easily, and each one has a different ability that you need to complete each level (speed, flight, power). 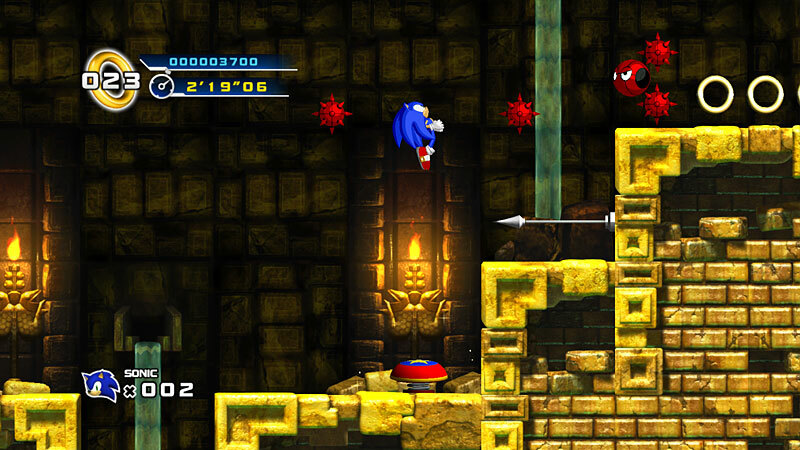 Given Sonic Team’s shaky handling of the third dimension, these mechanics should not work. That they do, and that Sonic Heroes is incredibly fun to play, is nothing short of a Sonic miracle. More 2D Sonic shenanigans, this time with a buddy system. Pick a controllable character (Sonic, Cream, Knuckles, Amy, there’s lots) and a secondary character to lurk/run behind you. 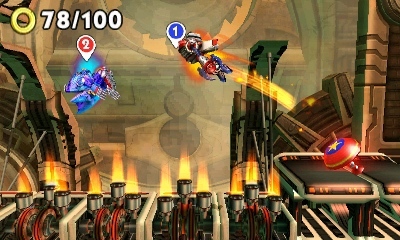 While the latter is typically controlled by the computer, certain Tag Actions can only be accomplished by linking both characters abilities together. Your character combinations (of which there are a considerable amount) determine if you’re a speed, power, or flying team. Like a portable Sonic Heroes mixed with the Chaotix chain gang system. Most people know Shadow the Hedgehog as “that one Sonic game with the guns.” That’s really all I know about it, and that’s all I need to know about it. Shadow wields guns (big ones!) and he drives cars, despite the fact that he doesn’t need to do either of those things. Outstanding! Even after reading a story synopsis, I have no idea what’s going on. Something about Dr. Eggman’s cousin, Maria, being killed and a large demonic figure named Black Doom commanding Shadow to steal Chaos Emeralds for the betterment of society. I can’t believe this was greenlit by top Sega brass, and I can’t believe it sold over a million copies worldwide. I desperately want to play it. 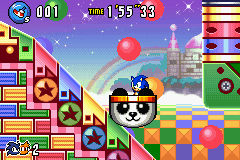 Sonic Rush is the continuation of the Sonic Advance series, complete with a new character (Blaze the Cat) and jarring dual screen action. Early DS games tried to blend the action on both screens, but the effect is just awkward. Not sure if it ruins Sonic Rush the way it ruined Yoshi’s Island DS, but the thought of keeping track of a fast moving Sonic from screen to shining screen doesn’t sound like a rush. TOTALLY A SONIC GAME THAT EXISTS! 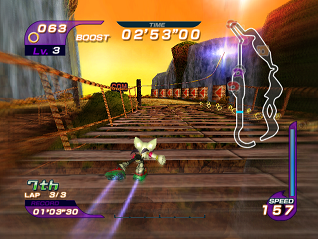 In Sonic Riders, hoverboards, bikes, and skates are called “Extreme Gears.” The new characters have names like Wave, Jet, Storm. And the story involves stopping both Eggman and an evil spirit named the Babylon Guardian. The racing might be fun, but Sonic Team really should calm down with these melodramatic preteen bedtime stories (spoilers: they haven’t, and they won’t). Sonic the Hedgehog is legendary, even if you’re not all that familiar with Sonic games. 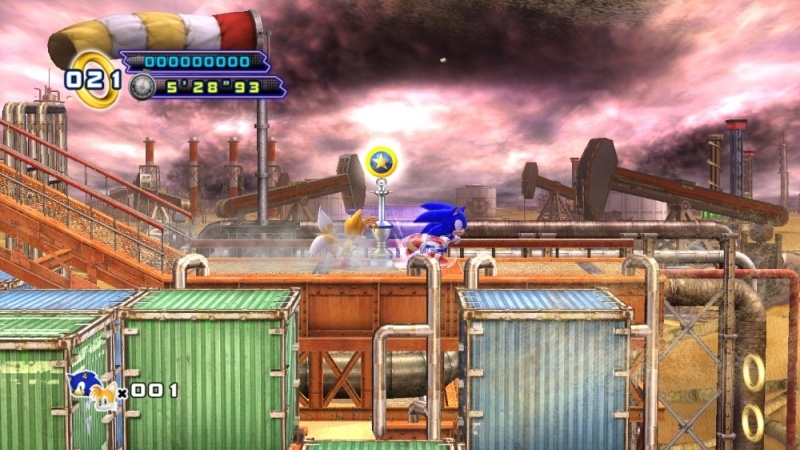 Dubbed Sonic ’06 by the media after the year the game was released (and to avoid confusion with the first Sonic the Hedgehog), Sega originally wanted the game to be a rebirth of the Sonic franchise. Due to time constraints, Sonic ’06 emerged as a bug-ridden mess with long load times and a surreal story that blended Sonic with a human world. I’ve attempted to play this game a number of times to no avail. Trust me when I say Sonic ’06 is as bad as its reputation. MUST MISS! / THEY ACTUALLY RELEASED THIS?! A side-scrolling racing game complete with card collection? Neat. You can push other characters out of the way as you race past them to the finish line? Forget the race, I would just duke it out with Silver the Hedgehog the entire time. Even if Sonic ’06 isn’t his fault, his presence in the game didn’t help its crappiness. 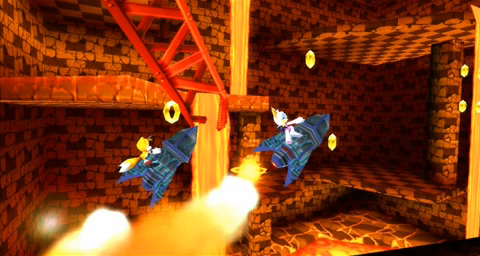 Screw the secret rings and screw Sonic’s attempts to find them. Rather than control Sonic properly with a joystick or a D-pad, as God intended, you tilt the Wii Remote left and right in order to maneuver Sonic around the ancient Middle East. The steering should be simple, but the controls are almost completely unresponsive. I doubt they would erect grinding rails on top of sand dunes in jolly old Arabia either. Ladies and gentlemen, please welcome Marine the Racoon to the ever-expanding Sonic character roster. 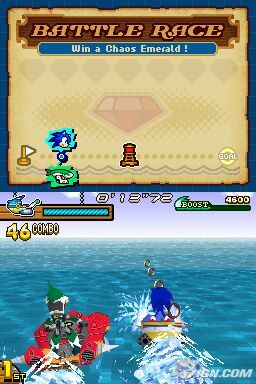 Sonic Rush Adventure takes place on the high seas, with ships and booty and pirate robots and apparently you’re in Blaze the Cat’s universe ’cause why not. Dimps – the team behind most of the portable Sonic outings, starting from Sonic Advance – is in charge again, so I’m sure the 2D gameplay is just fine. 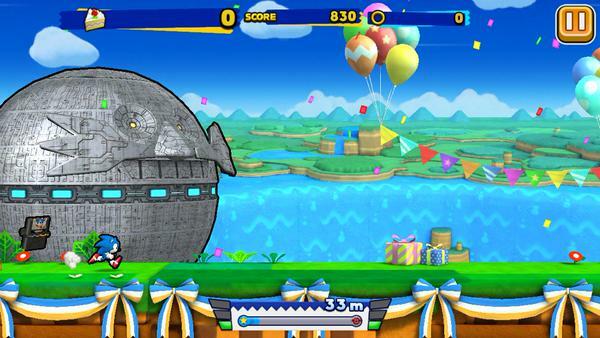 Hopefully the returning dual-screen action from Sonic Rush doesn’t get in the way. I was unsure if I should include the Olympic Games series, but Sonic and friends have predominant roles in the, uh, Olympic proceedings, so here we are. This is one for the history books: rather than include every nation, tribe, culture, and tongue, the 2008 Olympic games were instead overrun by Nintendo and Sega characters. 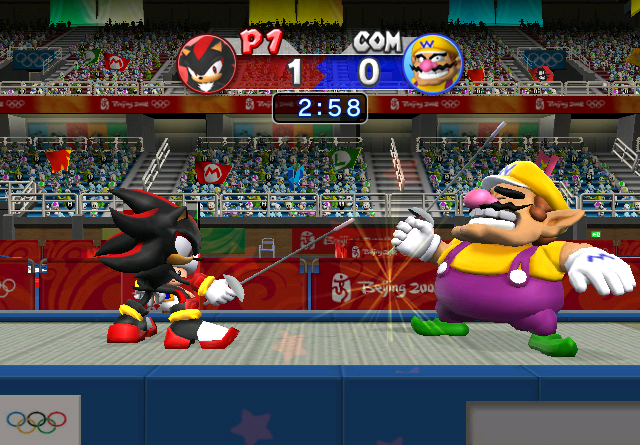 Watch as Wario and Shadow fence! Be amazed as Tails and Luigi play table tennis! Gasp in awe as Mario narrowly takes the lead over Sonic in Athletics! 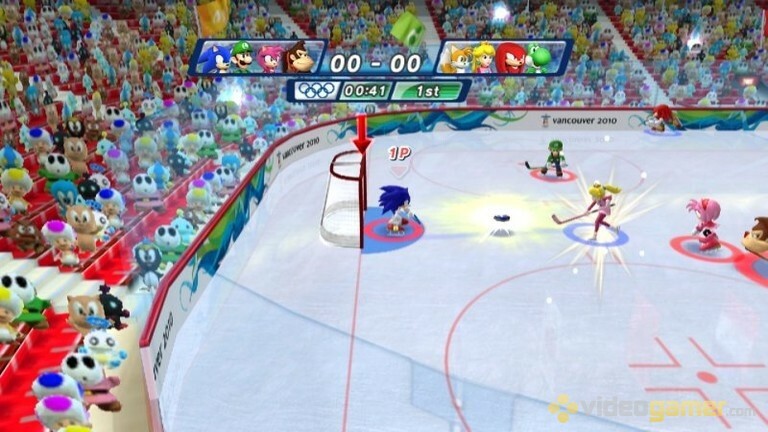 Clearly, Mario & Sonic at the Olympic Games needed to happen. 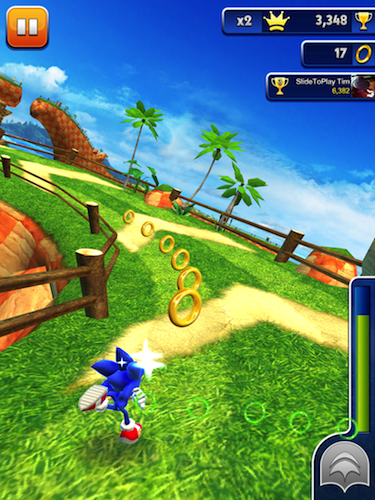 In addition to beating up your buddies while racing to the finish line a la Sonic Rivals, this sequel also boasts different Battle modes, like “Capture the Chao (Flag),” “King of the Hill,” and “Tag.” If those antiquated games of youth sound enjoyable when mixed with Sonic characters, well, step right up to Sonic Rivals 2. Sonic X is for Leapster. It’s ok if that last sentence doesn’t make sense, but it’s all truth, every word. Based on the mid-00s cartoon of the same name, Sonic and young human friend Chris (Chris?) tackle math problems using the educational Leapster software and the power of their ever growing brains. Sonic X is not for you, me, or anyone over the age of five. 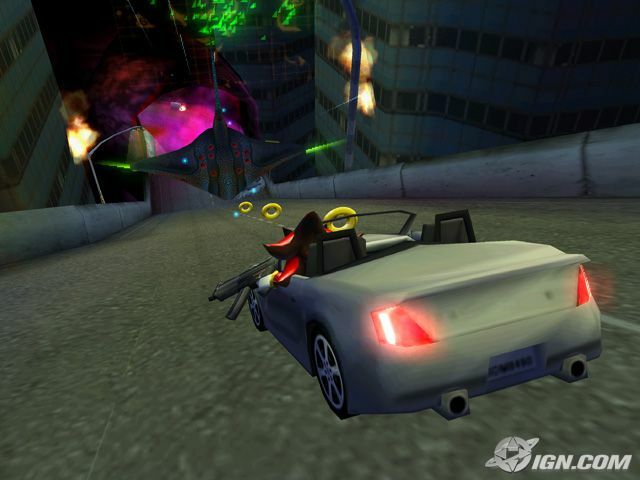 For a few years there, Sega really tried to make Sonic Riders a legitimate racing franchise. The upcoming hands-less Free Riders on Kinect would kill that dream, but first, gamers had to make do with Zero Gravity. The emphasis is, of course, on gravity and its effects on racing. “Couldn’t Sonic just have a really good normal racing game without all the bells and whistles?” you ask. Why have that when you can make a convoluted story, bizarre mechanics that surely break some sort of scientific laws, and a character roster that also includes Billy Hatcher sans giant egg? TOTALLY A SONIC GAME THAT EXISTS / THEY ACTUALLY MADE THIS?! I really wanted to play this portable Bioware romp back when it debuted in ’08, but time has cooled me on the concept of a Sonic RPG. For me, RPGs are about two things: story/characters and an addictive battle system. While I generally like the main Sonic cast, I’m not too keen on the needlessly confusing Sonic universe, and this game blows said confusion sky high. Consider these words: “Voxai colonies,” “N’rrgal,” and “Gizoids.” Do any of these belong in a Sonic game? Sonic RPG or no, the line’s gotta be drawn somewhere. This is Bioware, not Archie Comics. The battle system takes advantage of the touch screen and reminds me somewhat of the Mario & Luigi series, but otherwise looks standard. A part of me still wants to play this. I mean, this is Bioware pre-EA takeover. It can’t be that bad, right? Where could Sega go after the Sonic ’06 debacle? Apparently, straight to the bottom of the idea hat. 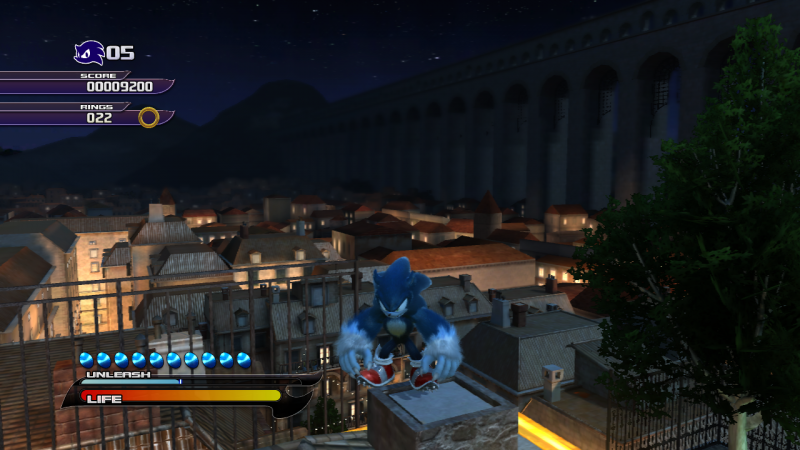 Sonic Unleashed ditches most of Sonic’s supplemental cast (including Tails and Knuckles, thankful for a rest) and focuses on his newfound Werehog abilities. The game’s split between “gotta go fast” regular Sonic and “gotta pound stuff slow” Were-Sonic. Much like Shadow the Hedgehog, this premise sounds beyond ludicrous. 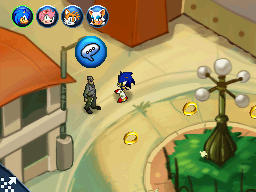 Also like Shadow the Hedgehog, I’m not entirely sure why I’m not playing it right now. Ugh. A sequel to the awful Sonic and the Secret Rings? And it has Sonic in King Arthur’s universe with Wiimote waggle swordplay and optional playable characters like Gawain, Percival, and Lancelot? This has “wasted weekend rental” written all over it. After the success of Wii Sports and Wii Fit, minigame collections became the console’s bread and butter. This is why the Mario/Sonic Olympic Games sold gangbusters. Maybe these games are a good time for kids, but do any other millennials feel weird watching Sonic hitting the slopes next to Princess Peach? It’s just not right. TOTALLY A SONIC (AND MARIO) GAME THAT EXISTS! Splitting up the first true sequel to Sonic 3 & Knuckles into two downloadable episodes is a pretty crappy move on Sega’s part. Sonic feels floaty, the 2.5D graphics lack character, and let’s face it, there’s no way Sega’s gonna recreate their 90s magic nearly two decades on, no matter how hard they want to. Nice try, guys. Wish you hadn’t called it Sonic 4. Taking advantage of the Kinect with a full-body Sonic racing game isn’t a bad idea. Too bad the Kinect is a wonky device that requires a living room the size of a mansion to use properly, and the game itself doesn’t register your movements worth a damn. Sonic Free Riders is free to kiss off into the wind. 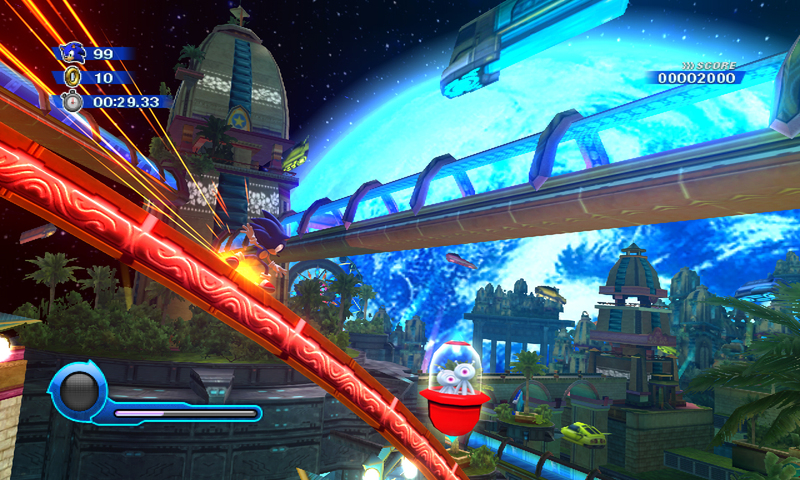 At long last, Sonic Colors brings some playability back to the franchise. 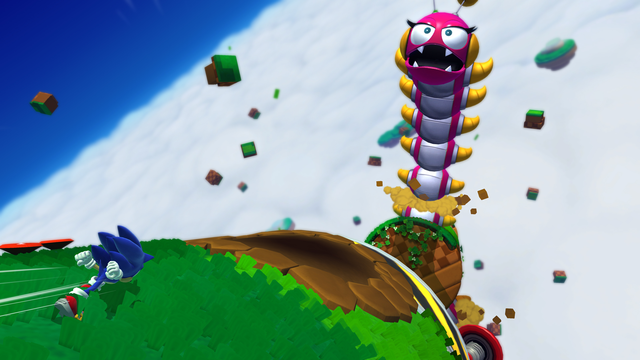 The game is a hyper sensory romp through an interplanetary park with Sonic, Tails, and the Wisps, a cute alien species at the core of Robotnik’s latest scheme (yes, more new characters – but these ones don’t talk, thank God). Thanks to the fantastic color effects, the fast, easy-to-navigate action, and the game’s surprisingly amusing story, Sonic Colors succeeds on nearly all fronts. This mashup between Classic and Modern Sonic resulted in the best Sonic game in ages – maybe the best since the ’90s (objectively speaking – I still enjoyed Sonic Adventure 2: Battle much more than Generations). Classic Sonic is pure 2D goodness, while Modern Sonic is the standard 2.5D/3D of the prior few games (Sonic Unleashed, Sonic Colors). 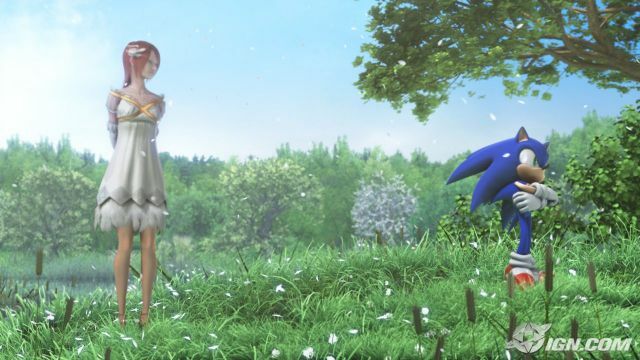 Juxtaposing Modern and Classic Sonic really makes you realize how poorly the franchise is suited to straight 3D. 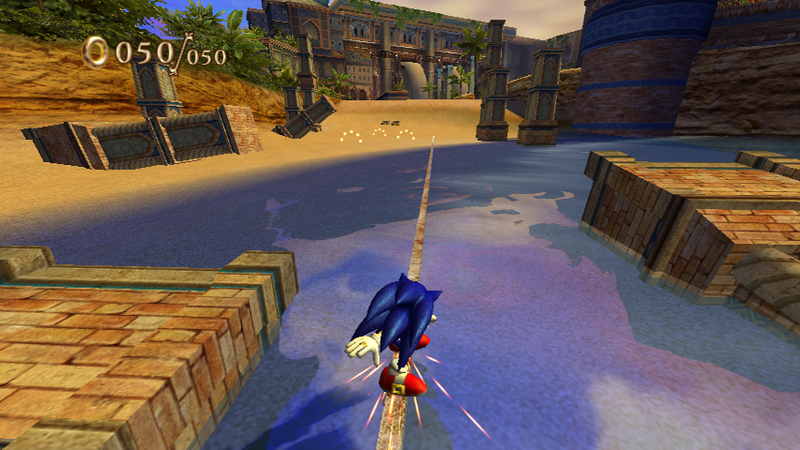 Modern Sonic’s controls are slippery, and the speed/camera angles remain nearly as janky as the first Sonic Adventure. 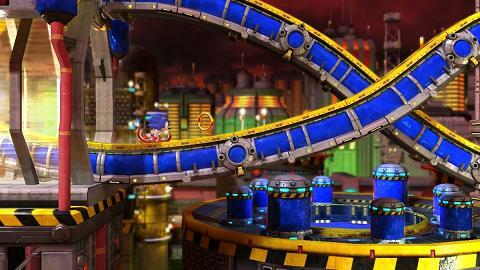 As much as I enjoy certain 3D Sonic games, they’ve always felt like two completely different series. As a whole, though, Sonic Generations is a must-have for any jaded and/or devoted Sonic fan. 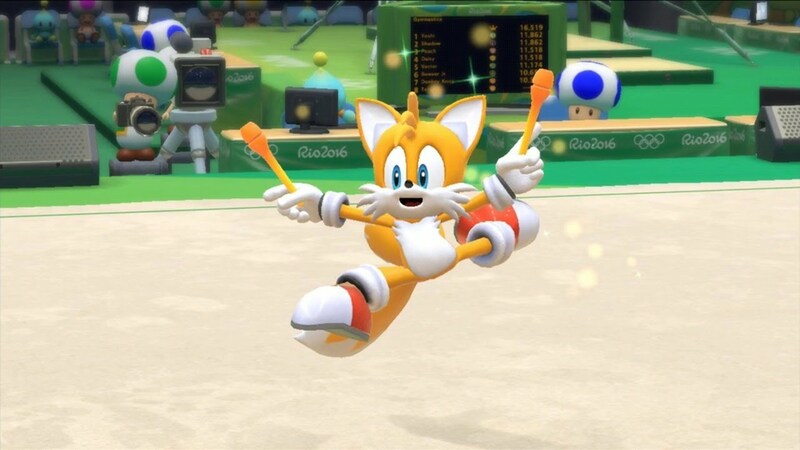 With as many Mario & Sonic At Your Mom’s Olympic Games games Sega continues to pump out, you’d be forgiven for thinking that the Olympics takes place every six months rather than every couple years. Naturally, this game sold a few million copies, ’cause what else were people gonna buy for the Wii in 2011? Skyward Sword? Psh. TOTALLY A SONIC/MARIO HYBRID THING THAT PEOPLE REALLY NEED TO STOP SUPPORTING! Episode 2 took two years to emerge after Episode 1. From 1992-1994, Sega released Sonic 2, Sonic Spinball, Sonic CD, Sonic 3 and Sonic & Knuckles, so there’s really no excuse here. I have played Episode 1, but not Episode 2 so not sure if the latter still feels like a sequel in-name only. Clearly, Sonic 4 wasn’t a game on Sega’s to-do list, so I have my concerns. For a pure Sonic experience these days, you gotta go to mobile. 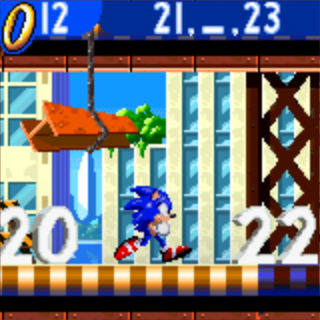 Sonic Jump is straight up vertical scrolling. While there is a story mode, it’s just Sonic chasing Eggman, nothing more. 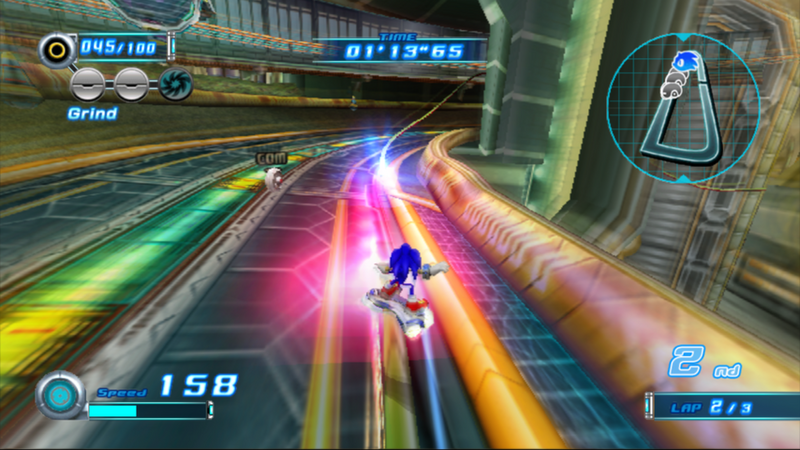 The gameplay is pure movement, with you tilting the screen to move Sonic forward. 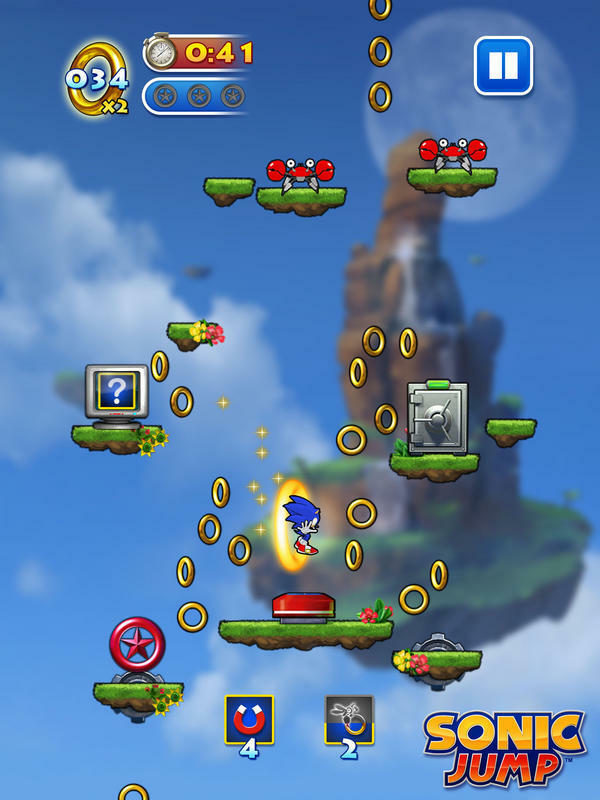 Sonic jumps automatically, but will double jump when you tap your phone’s screen. I’m not normally a fan of mobile titles and have yet to give Sonic Jump a try, but the back-to-basics simplicity appeals to me. Back to mobile again for this endless-run-and-jump. 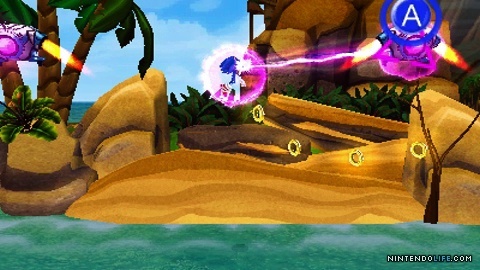 Whereas Sonic Jump was vertical, Sonic Dash is behind the camera horizontal and resembles the 3D Sonic titles more than anything. The only difference? Sonic never stops running. Gotta go fast forever. Currently located only at Sega’s Tokyo Joypolis arcade in Japan, this 8-player community exercise takes “gotta go fast” to new peaks of excellence. Players hop on treadmills and stare at full-body screen versions of their favorite Sonic characters while running like hell. Whoever runs the fastest, wins. 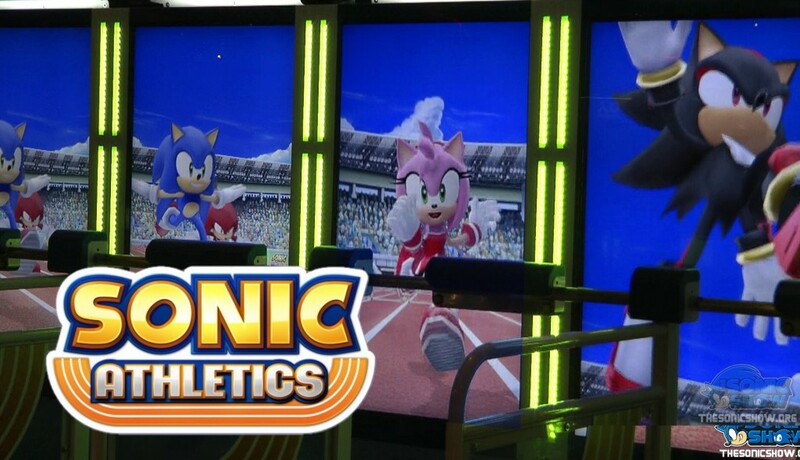 I’m sure the full Sonic Athletics experience is expensive to purchase, but I wish it would come to America. People desperately need to run fast and lose weight while looking at Shadow, Blaze, and other anthropomorphic furries. 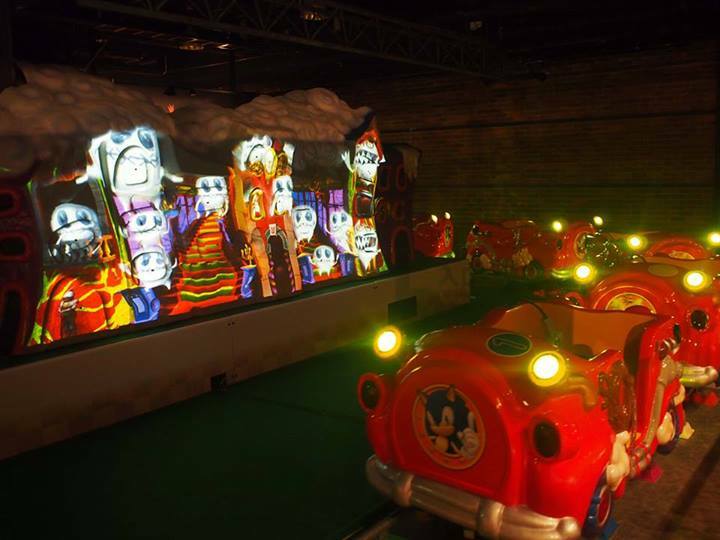 Another Tokyo Joypolis exclusive, this is less exercise for all ages, and more of a kid’s ride where your son/daughter and eleven of their friends can shoot at ghosts in areas recycled from Sonic Adventure 2. As long as that amazing “Pumpkin Hill” song is blasting their little eardrums out while they shoot, I think we can call this experiment a raging success. Sonic Colors and Sonic Generations gave joy and life to a franchise that had, for too many years, taken itself way to seriously. 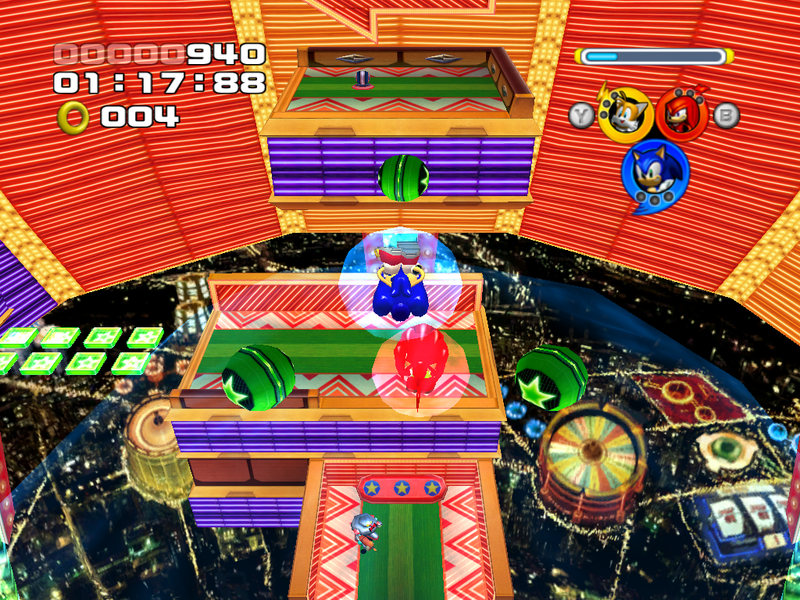 With the ultra-colorful stages and The Deadly Six designs, Sonic Lost World seems to continue this skew towards happy Sonic and away from “life is hard, Eggman is dumb” emo Sonic. I’ve heard very mixed responses towards Lost World, though. 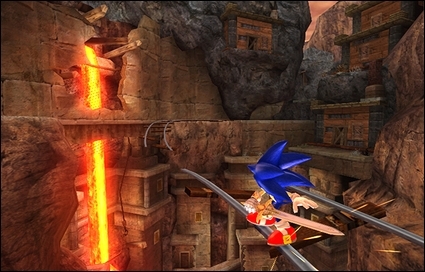 Some love the bizarre corkscrew level design and parkour approach, while many claim the game – like many 3D Sonic games – is completely broken and unplayable. I have yet to try Lost World myself, but I’m curious and cautiously optimistic. 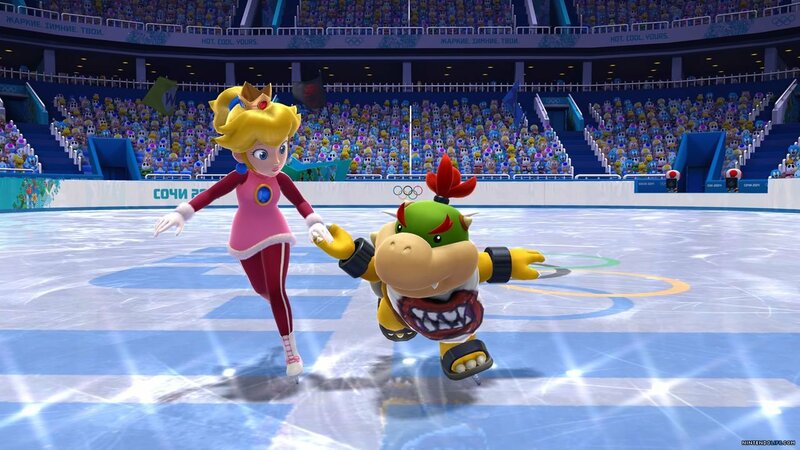 Just look at this mess of a title: Mario & Sonic at the Olympic Winter Games Sochi 2014. That is a ridiculous mouthful. This one’s on the Wii U, and it takes advantage of the Gamepad for such thrilling sports like curling. Hoo boy. If you like these utterly freaky mashups, then you like them and that’s that. I just can’t believe they keep selling enough copies to justify their existence. Here it is, folks: one of the worst Sonic games ever. Not only are the character designs just unbearably awful (why are their legs so much longer than their torsos? ), the low framerate, crap controls, weak script, and plethora of bugs ruin the overall experience. 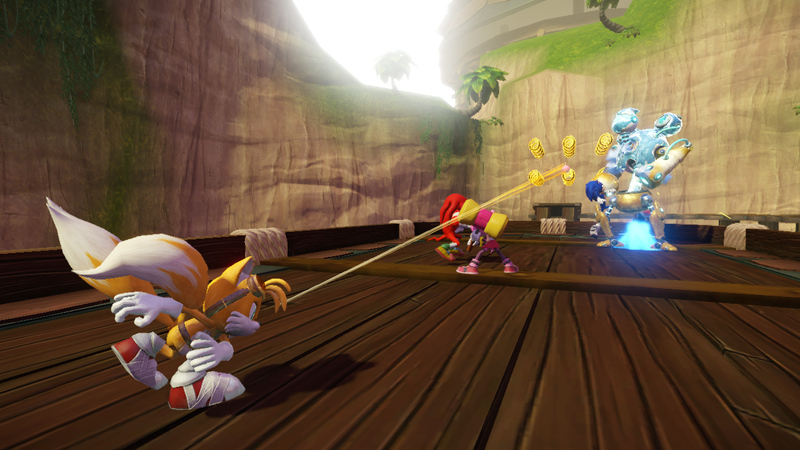 While I’m glad Sonic Boom is a side-series, how did this game even get released? Big Red Button may have developed this, but Sega still had the power to veto. You’d think Sega would have learned all of their Sonic ’06 lessons by 2014, but here we are. Shattered Crystal received a mediocre response, not a vitriolic one. Which is a step up from Rise of Lyric, but still not an experience you should seek out and play. While 2D (or 2.5D in this case) Sonic is usually better than 3D, Dimps – the modern-day 2D Sonic masters – didn’t work on this game. You get what you pay for, Sega. In this case, low sales and fan outcry. “I’ve got a fever/I’m seeing blue/jumping’s the cure/you know what to do!” Don’t those fake lyrics sound like they could hail from a Sonic Jump Fever theme song? Yeah, maybe not, who cares. 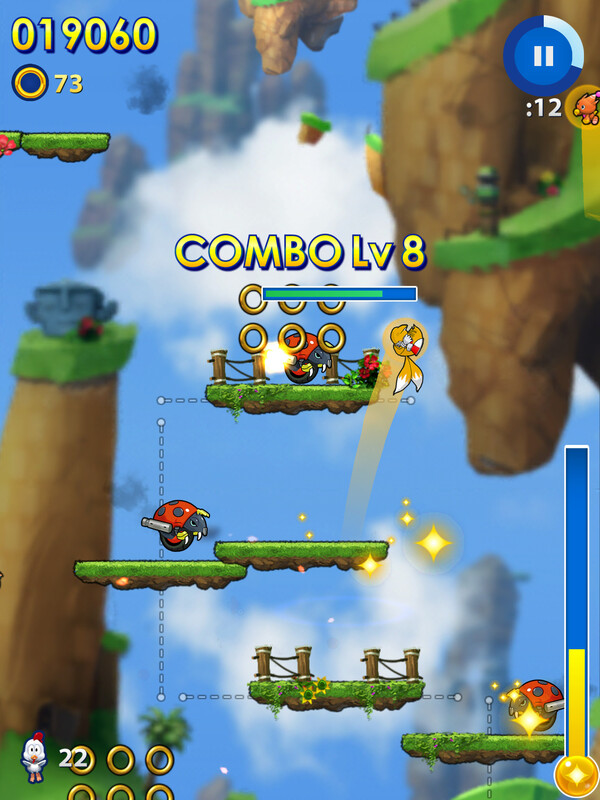 Sonic Jump Fever is the sequel to Sonic Jump, in case there was a doubt. Literally nothing’s changed, so jump to your heart’s content. And if you’re more into console than mobile, I’m sorry, it’s either this or Sonic Boom, you just can’t win. Not a sequel to Sonic Dash, though there’s plenty of running involved. 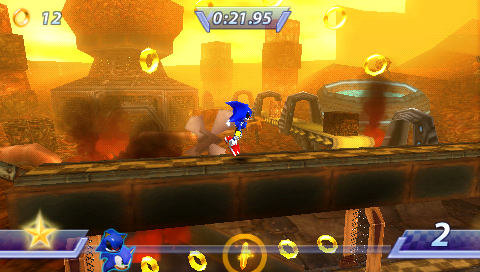 Sonic Runners is a non-stop 2D automatically scrolling affair. Isn’t this what us 90s Sonic kids wanted at some point? 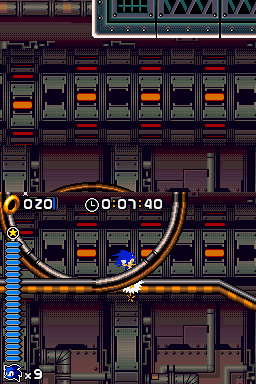 Several zones of Sonic speeding across an entire game, no stops, just a sweet blue emotional haze. Set for release on the 3DS, this “pray it’s successful” sequel to Shattered Crystal reportedly spent extra time in development to make sure it was, you know, a game people might want to play. Worst case scenario (and the one most people expect at this point) is that Fire & Ice will be a mediocre tie-in to the cartoon, sell a couple hundred thousand copies, and hopefully, will be the last entry into the exhausted Sonic Boom spinoffs. If you’re into portable pole-vaulting, the 3DS version is already available. For the four of you who are waiting for the Wii U versions, they’ll be coming sometime later this year. 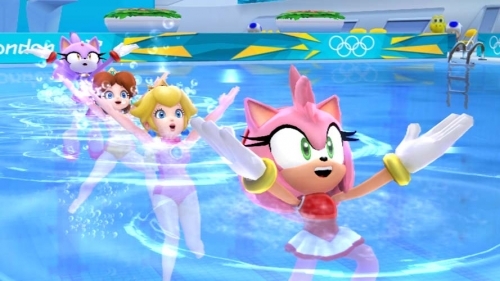 I’m confident they will feature Mario & Sonic (and their respective crews) playing Olympic Games in Rio. Beyond that, who can say? More than any other franchise that has come of age in my lifetime, Sonic’s output is comparable to another artist of sporadic greatness: the recently departed Prince. Both artists started off their careers by elevating their respective artistic expressions (music and the platformer, respectively). Soon after their winning streak (Prince’s lasted a decade, Sonic’s lasted about five years), both settled for unpredictability. With each new release, you never knew what you were in for: could be fantastic (Sonic Adventure 2: Battle, Diamonds & Pearls), could be mediocre (Sonic 3D Blast, Batman), could be an outright dud (Sonic ’06, 20Ten), could be a mix of all three (Sonic R, 3121). Both have unusually active fan bases who will argue for (almost) everything they’ve ever put out. While Prince certainly has the leg up on my ‘hog Sonic in terms of talent, both have a look and design that’s completely their own. You will never mistake them for anyone else, and they have influenced legions of imitators. Love them, hate them, they are one-of-a-kind, and they will live on for as long as the public demands them. Thanks to SonicRetro, MobyGames, Nintendo Life, IGN, Mash Those Buttons, Sonic Stadium, Slide to Play, Sonic Show, Sega Addicts, Vooks, and Pocket Gamer for all the screenshots! Was the Sonic on Neo Geo Pocket Color a unique game or was it just a wonky port of another game, like Sonic N for N-Gage? Hmm… not sure. I definitely missed that one. D’oh! Guess I should re-title the article Every Sonic Game Ever Minus A Couple. 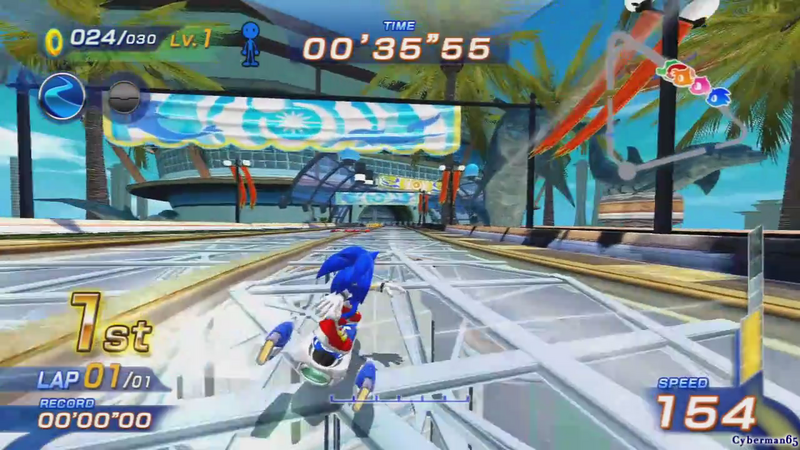 Although technically not a true Sonic game, I like “Sonic and Sega All Stars Racing”. It’s a Mario Kart clone but very well done. Also Sega All Star Racing Transformed is a pretty innovative racing game. I almost included those, but since their focus was more on a Sega ensemble, I decided against it. I’d like to try them, though! Im an old fan of this blue Hedgehog (he’s so cute!). Any good news to Sonic at 2017? A friend tell me something about a new game, its true? What type of game it will be? Sonic Mania is coming this year and it looks great!